A Halloween opening night for a murder mystery set on Friday the 13th – how perfect. Above the charms of wily Miss Marple and the quirky, shadowy residents of Chipping Cleghorn, this beautifully produced play boasts the rare distinction of a highly experienced cast. In our throwaway, plastic society, this wealth of talent is to be celebrated and cherished. The billboards and advertisements featuring a real actress-of-a-certain-age who has not been airbrushed beyond recognition, is a great, and an all too rare, sight to see. In what is arguably a slightly better play than The Mousetrap, or perhaps just less familiar, the clues, red herrings and juicy twists are delivered at a leisurely but intriguing pace. Character types will be recognizable to regular Agatha Christie readers, yet all have credible, rounded personalities and backgrounds. Multiple revelations of secret identities, illicit liaisons and murderous intentions make for an interesting and eventful second act, as the action builds to a satisfying conclusion. While there is perhaps one coincidence too many amongst the stories of the supporting characters, the final denouement is pleasingly convincing, free of last minute convoluted surprises thrown in for shock value. The opening scene sees the occupants of Little Paddocks house in a bother over the announcement of a murder in the Friday Gazette. An early climax ensues as the lights go out and shots are fired! The assembled collection of family, residents and mysterious strangers all have plenty to hide, with a list of possible heirs for a multi-million pound will providing a range of motives. Inspector Craddock does his best to crack the case, but it is Miss Marple’s keen eye for detail that ultimately uncovers the killer. Producers Michael Coppel, Louise Withers and Linda Bewick have put together a pristine production, thankfully populated with genuine talents rather than high profile, twitter-friendly names. The production values and large cast are above those seen in local subsidised theatre. Linda Bewick’s set design is as attractive as it is functional, filled with genuine ornamental objects and furniture for an authentic, atmospheric feel. Suzy Strout’s costumes and hair design are also of the highest calibre. Costume designs have clearly been carefully considered and yet look natural rather than showy. The wigs and hairpieces are a show unto themselves, and are the ultimate finishing touch in transporting the audience back to another time. Director Darren Yap has done an excellent job of having the entire cast work as one in terms of focus, accents, volume and period mannerisms. Interest is maintained during wordy exposition scenes thanks to the thorough preparation that has obviously been invested in mining the text for backstory and relationship connections. 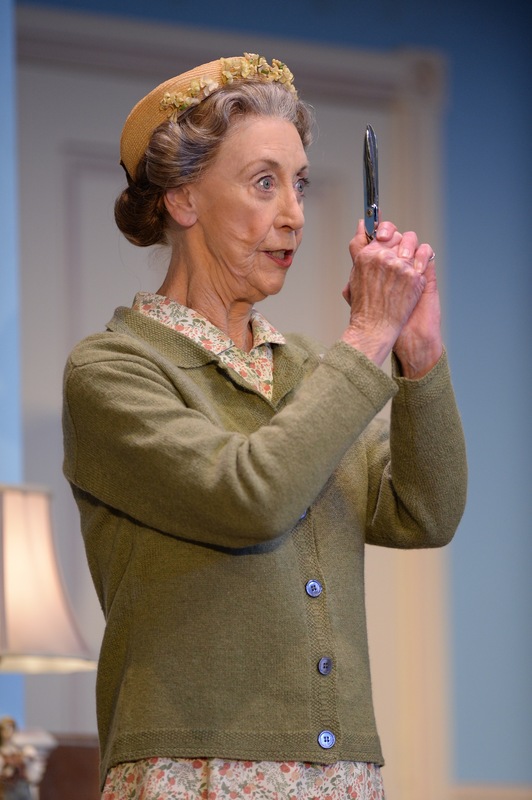 Judi Farr is a marvel as Miss Marple, conveying the ever-watchful gaze and steely mind of the super sleuth in a completely natural performance free of unnecessary affectations and distractions. 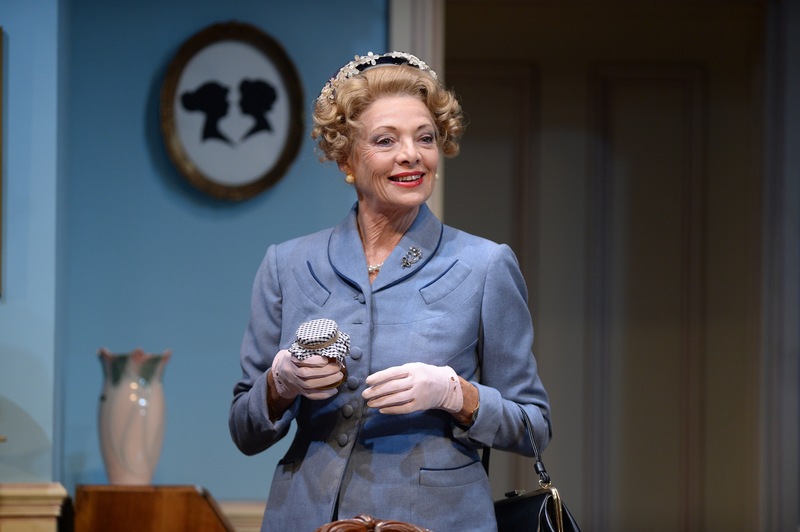 Much as it is Farr’s show, Debra Lawrance gives a truly wonderful performance in the key role of Letitia Blacklock. Looking and sounding as good as any of the women of Downton Abbey, Lawrance is all class as the nervy, gracious, no-nonsense lady of Little Paddocks house. Victoria Haralabidou scores plenty of laughs as the high-strung European cook Mitzi. The connotation of being foreign and being trouble would probably not be written into a role in these PC times, but Haralabidou embraces the part, creating a vocabulary of physical and facial movement that effectively heightens the comedy. Robert Grubb displays a well-judged amount of power as the persistent Inspector Craddock. Carmen Duncan makes a most welcome return to the stage as anxious doting mother Mrs Swettenham. Deirdre Rubenstein does her best in the grating role of addle-brained Dora Bunner. The four young leads do an exemplary job of not only holding their own with their far more experienced counterparts, but at projecting the pace, body language and style of a bygone era so successfully. Elizabeth Nabben enjoys the teasing nature of Julia Simmons towards her brother Patrick, played by the suave Nathaniel Middleton. James Beck, as Edmund Sweetenham, balances the manners of a proper young Englishman with the tension of a clandestine background. Libby Munro has a true period beauty that suits the role of troubled young mother Phillipa Haynes perfectly. Ultimately, the evening is a light as the fluffiest soufflé, but just as pleasant to devour. Farr, Lawrence, Duncan and Rubenstein have around 160 years of experience between them – what a gift to audiences to see them on stage together. Take a friend to A Murder is Announced, and see if you can work out whodunit. 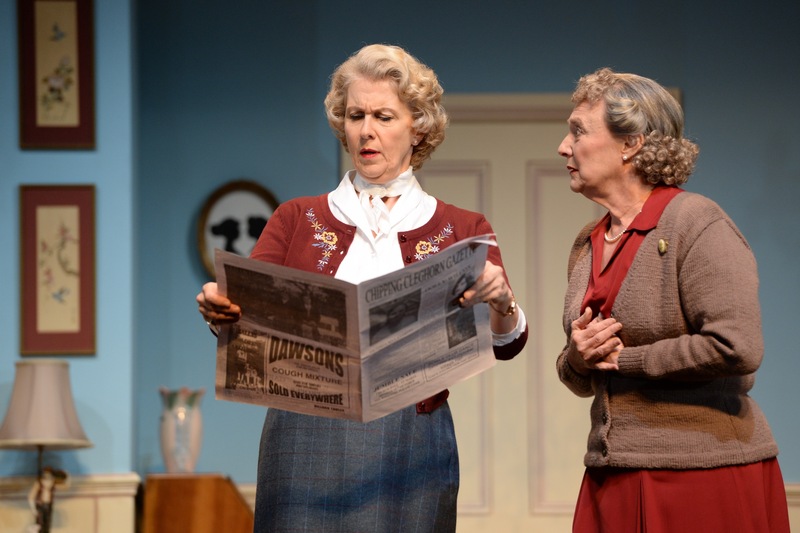 A Murder is Announced plays at Comedy Theatre, Melbourne until 4 December 2013. 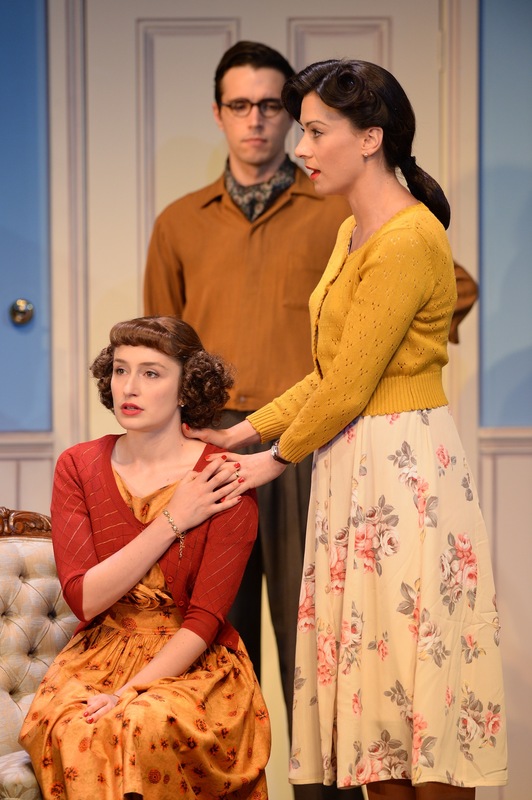 Read Man in Chair’s review of the 2012 Australian production of The Mousetrap. Me too! You should read some of her novels in a couple of years! I could lend you some.